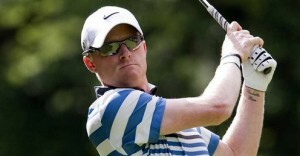 Continues the saga between Simon Dyson and the European Tour. The English man, a regular presence at Portugal Masters, has announced his non-attendance from the third and penultimate event of the final series , the Turkish Airlines Open, waiting for the Tour to make a decision by the action irregular committed on the 8th hole during the second round of the BMW Masters. That way he will focus on preparing his defense that presumably will be the end of the month. Simon Dyson was disqualified for seven days touching the line between his brand and the hole with the ball . This offense is punishable by two-stroke penalty not reflected on Dyson’s card so it was disqualified for signing a wrong card . 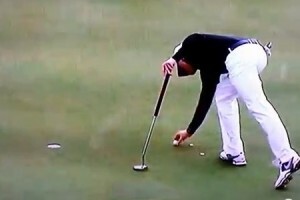 After carefully reviewing the action performed by the player, the Tour has been understood to be a serious breach of the rules. Dyson is facing a possible sanction ranging from a simple warning or a fine to expulsion from the European Tour. Simon Dison has been a regular presence in Portugal Masters .